"Out & About" is a weekly update from Washington Conference encouraging you to get "Out & About" in ministry, and this week they featured the activities of the Northwest Regional chapters thanks to Bill Lusk, the president of the Puget Sound Chapter. All chapters are encouraged to let their local conferences and unions know about their activities to make our ministry more visible. The post has been reproduced below, but can also be viewed on the Washington Conference's website. 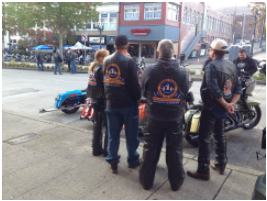 Our motorcycle ministry had a very busy September this year, a month that typically signals the end of the motorcycle season in the Pacific Northwest. 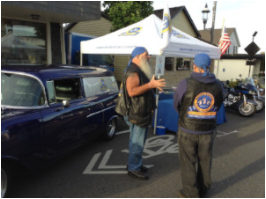 And finished off with a church visit in Sequim where riders there are very interested in starting their own SKMM chapter for outreach on the peninsula.